- Dr. James Pita shares how we creates games for security applications - How passion for games led to a career in emerging technology - How to turn even the most important and complex problems into a game you can win - James' solution have been used to secure airports, trade ports, and wildlife preservation. - This is Part 2 of our series on Games + Social Change Links - +7 Intelligence Discord Server - Join an awesome community all about the power of games to influence our lives and the world around us. Come chat and play games with me and your fellow listeners - Mr. Koya - Use the code PLUS7 at checkout to get 20% off an order of 2+ shirts and get FREE shipping! 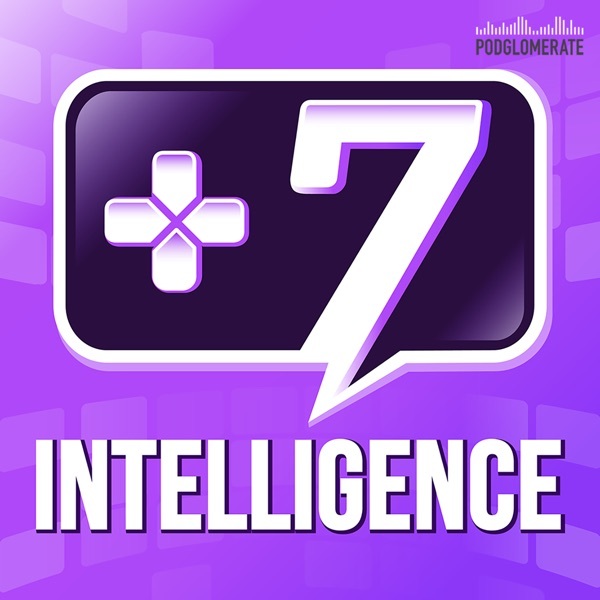 - Quality Control - Podcast covering the latest in geek culture from Polygon - Avata Intelligence - James Pita's TEDx Talk - Teamcore - AI for social good +++++++ About +7 Intelligence +7 Intelligence is the podcast about how games impact people. Each episode explores a different perspective on how games profoundly influence the real world. Interviews with game designers, psychologists, professionals, and everyday players discuss the unique way that games influence their life and work. +++++++ Listen to the show: Apple Podcasts | Android | Spotify | Stitcher | Google Play | Radiopublic RSS feed Find the show online: +7 Intelligence Website On Twitter: @7_Intelligence On Facebook: @plus7intelligence +7 Intelligence is a member of the Podglomerate network. +++++++ Music by Creo Epilogue by Creo is licensed under a Attribution-NonCommercial License.